Julie Falatko did not ask for us to celebrate her birthday. 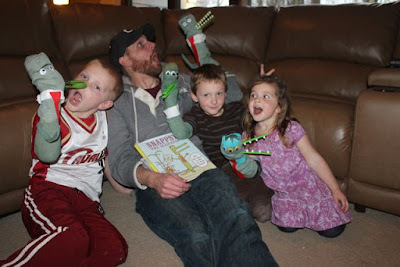 Much like Snappsy the Alligator did not ask to be in her debut picture book, Snappsy the Alligator (Did Not Ask to Be in This Book). Julie was having a normal day when I sent her a Facebook message asking if it would be okay to celebrate her birthday. She agreed. 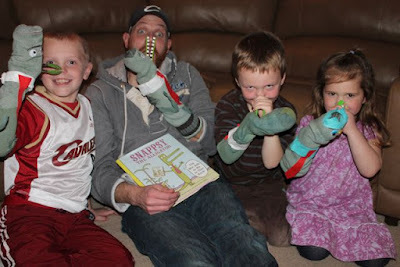 And suddenly our family was talking about Julie's new book and throwing a party to make things more interesting! We hope it makes Julie happy. One November day in 2012 inspiration struck Julie Falatko while she was in the kitchen. She described the moment, "I was making dinner, thinking about how I like books that let kids know we trust them and think they're smart. And FWOOSH there it was, an idea, but more than an idea, the entire story, not just the plot, but the words, dumped into my head." (Writing for Children While Raising Them - Tara Lazar). This is how suddenly Snappsy the Alligator (Did Not Ask to Be in This Book) began, but for Julie there was a ton of writing that led up to this moment. As a child she loved writing and filling her journals (KidLit 411). At the age of 8 she wrote her first story about "a family of ornery foghorns." (Juliefalatko.com). 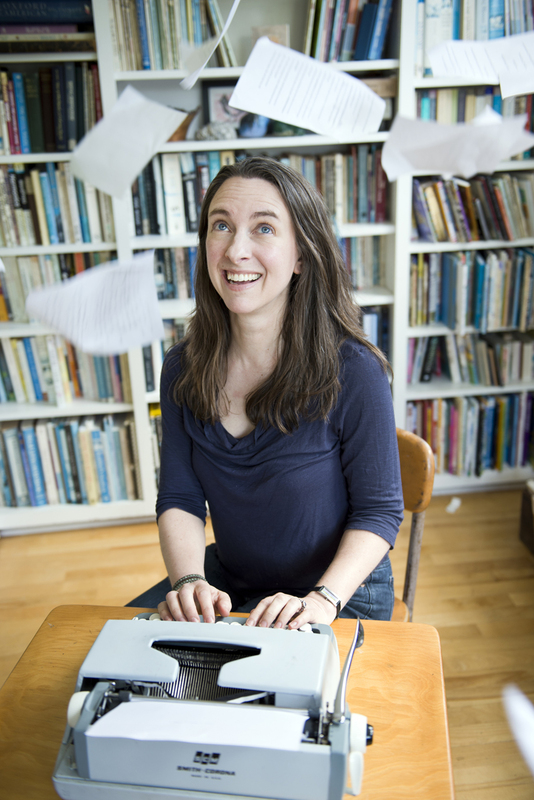 Julie pursued her love of writing in college when she studied English. 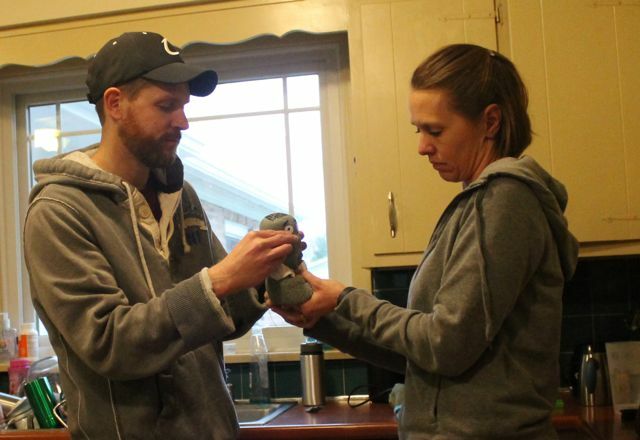 After college, she spent time as a technical writer and copywriter and then her attention turned to books when she earned a library science degree. (Flowering Minds). She realized that maybe she could revisit her childhood love of writing funny stories and possibly write books for children. In 2011 she got serious about writing for children. She participated in many online writing challenges like PiBoIdMo: Picture Book Idea Month and 12x12: 12 Picture Books in 12 Months. 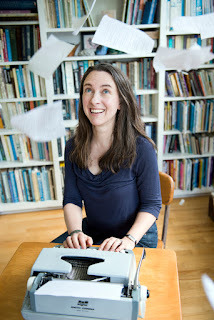 She brainstormed many picture book ideas, practiced and improved her writing, and polished numerous manuscripts. 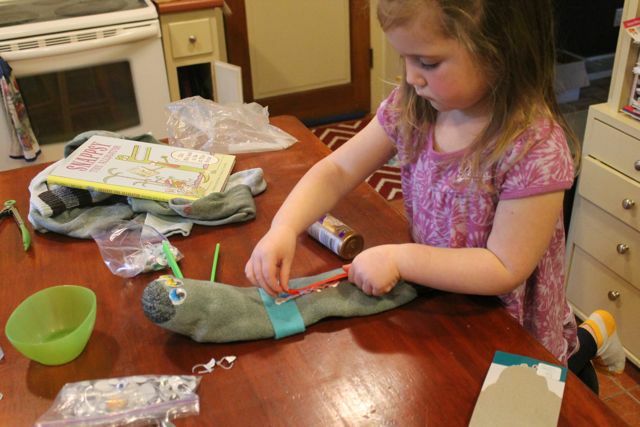 By April 2013, Julie had an agent and was on her way to becoming a published children's author. Snappsy the Alligator (Did Not Ask to Be in This Book) was published on February 2, 2016. Julie will follow up her successful debut with two more books The Society for Underrepresented Animals (Summer 2017) and Help Wanted: One Rooster (TBD). Snappsy the Alligator (Did Not Ask to be in this Book) is a unique book. Snappsy is an alligator and he is the main character of the book, but he wasn't planning on it at all. In fact, he is just walking along and a narrator starts commenting on his day and the narrator really has no idea what Snappsy is doing or feeling, but makes stuff up. As you can imagine this makes Snappsy pretty upset. His frustration grows and grows until the narrator makes fun of his house. That really "cheeses him off!" 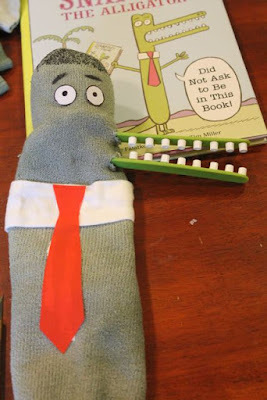 Then, the narrator goes as far as telling Snappsy that he is making the book boring. 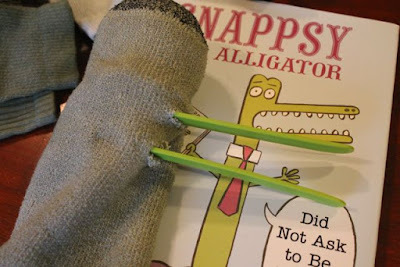 So, what does Snappsy do...well you will have to read the book to find out! 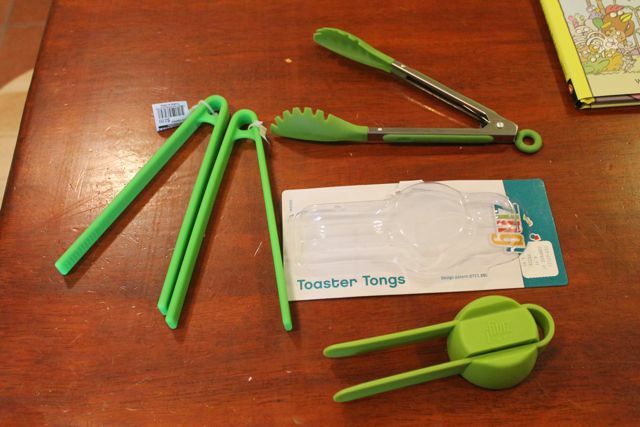 Back to the Snappsy the Alligator tong activity. I really didn't know how I was going to do this. 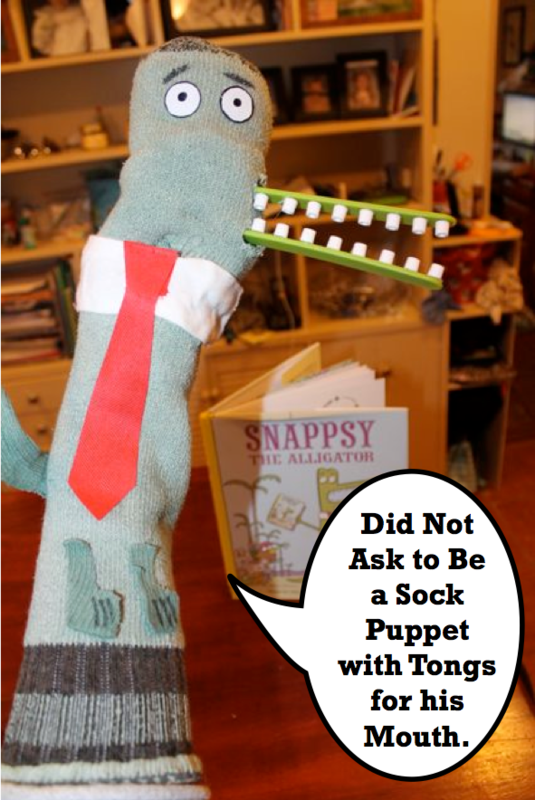 I brainstormed the idea with my wife and we came up with the idea of making a Snappsy sock puppet with tongs. I ran into a roadblock with the activity right away. I didn't have any green socks. I couldn't find green socks at Target or at the thrift store. What was I going to do? Aha! I will dye them. 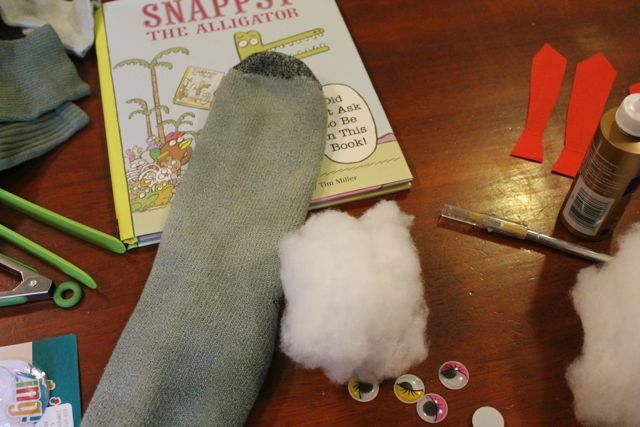 The first step was to make the top of Snappsy's head. The part above his mouth. 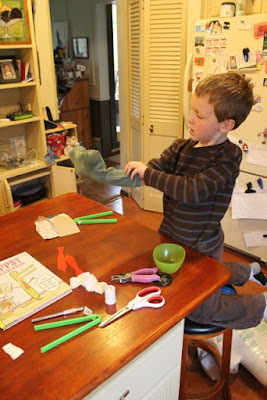 We stuffed the dyed green sock with batting. 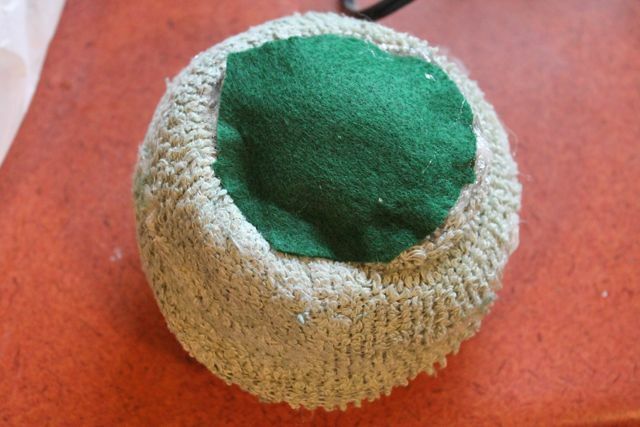 We needed the stuffing to stay put, so I hot glued a piece of felt inside the sock. 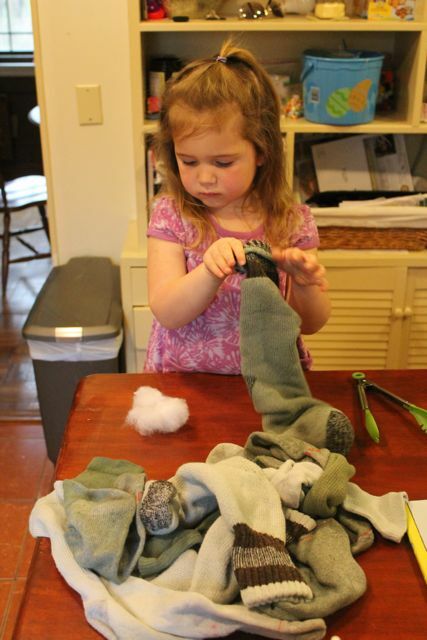 The only way to get inside the sock was to roll it. Next, was the mouth. 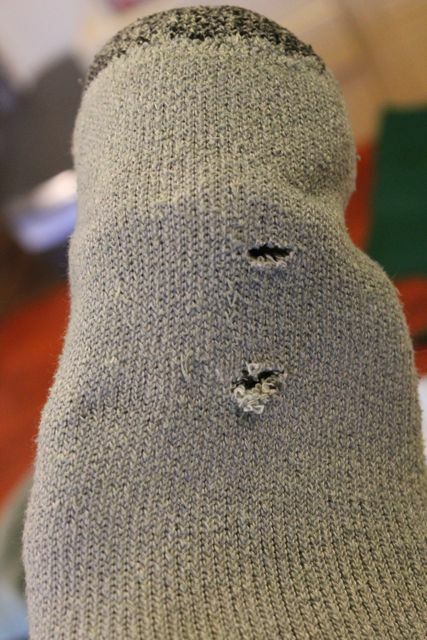 We cut two small slits in the side of the sock. 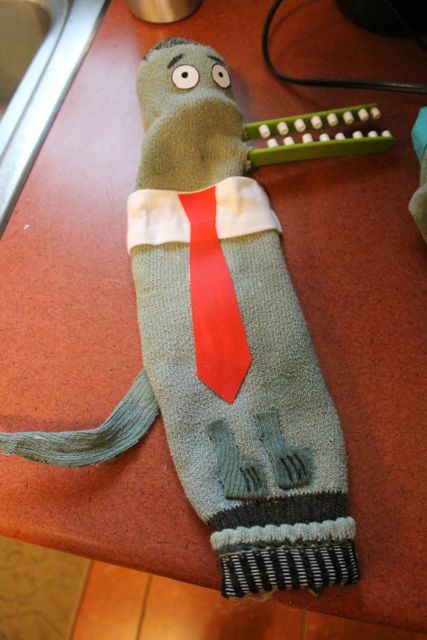 We glued on eyes, a collar, and a tie. At this point Snappsy looked a little bit like a duck. He needed some teeth. 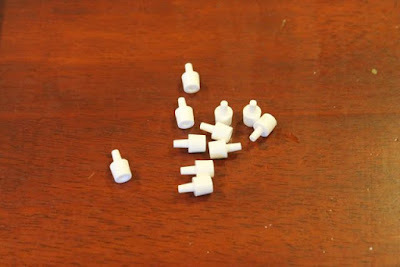 I used the little peg pieces from a Battleship game. 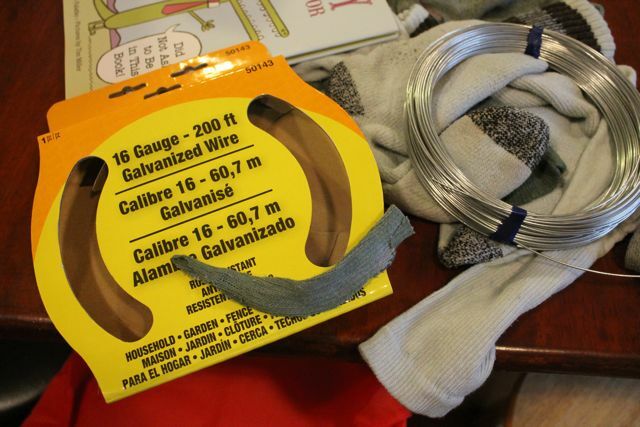 I hope there are still enough pegs to play the game! I cut off the peg part of game piece and glue them to the toaster tongs. It was looking pretty good, but was not quite finished. My little ones walked in and said, "Hey! Can we do that?" 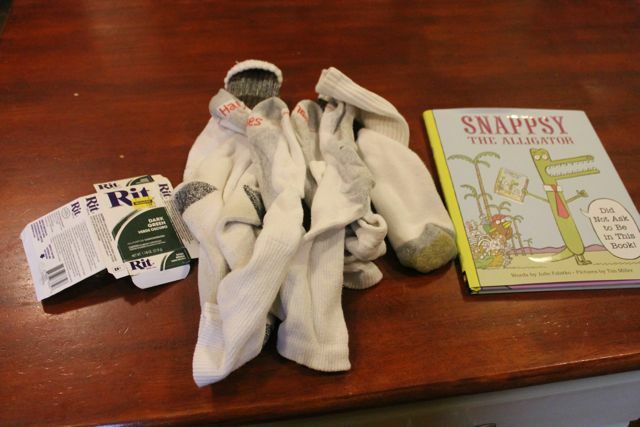 Pick a sock. 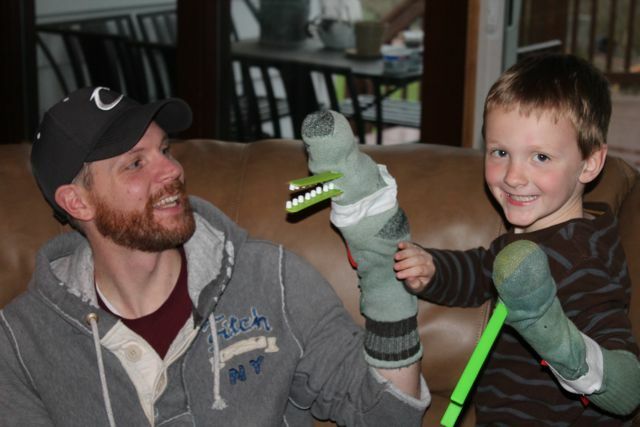 Any sock. Just a few to pick from. 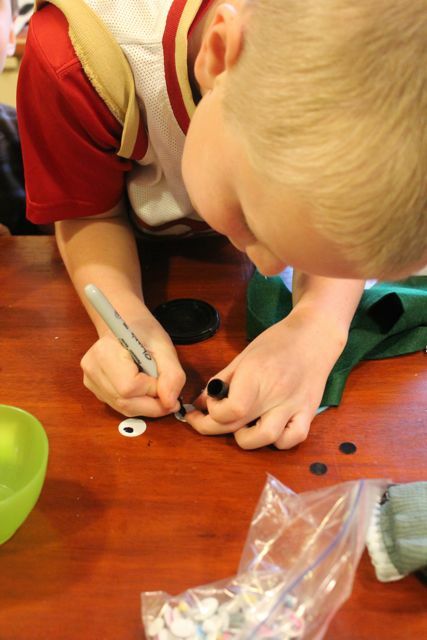 She glued the eyes on all by herself. 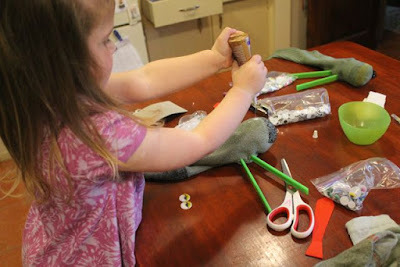 As they were working I made a tail. I cut up one of my extra socks and glued a piece of wire in the center to make it bendable. Then, I added two little legs. 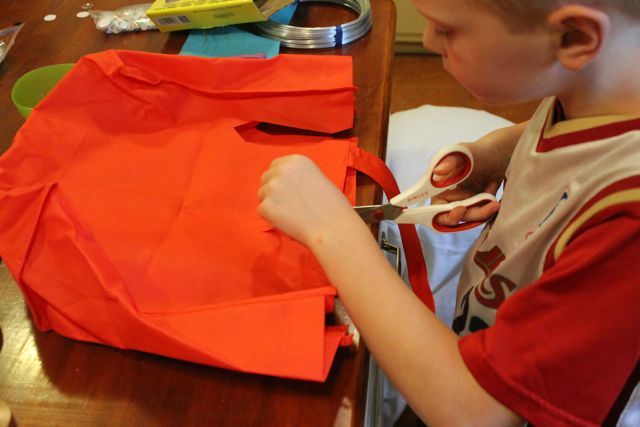 In the meantime, my oldest son came home from school and wanted to make one too. 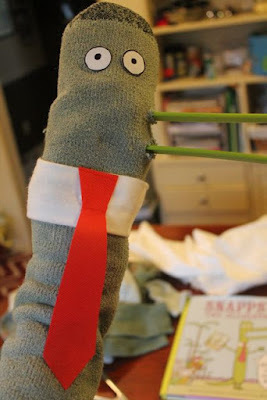 He cut Snappsy's tie out of an old shopping bag. I wanted Snappsy to have two bumps on his head like an alligator. My wife helped me with this part. We stuck a needle with thread through the top and pulled it until the center came down a little. Then, we anchored it behind the tie. I am sure there is a better way to do this, but it worked. 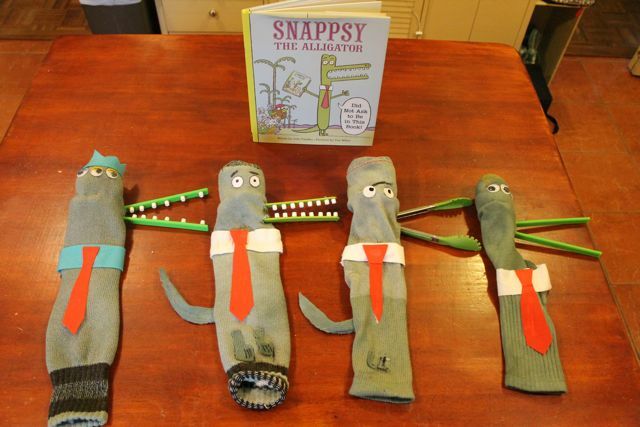 Our four Snappsy sock puppets. Yes, my four-year-old daughter's Snappsy has three eyes and a crown. 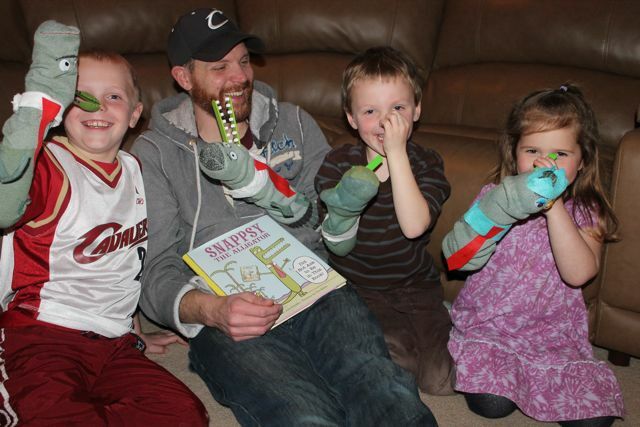 Snappsy the Alligator makes us smile. What would Snappsy the Alligator think of all this nonsense? Julie, you did not ask for us to celebrate your birthday, but we had to! We loved your new book! Congratulations on its success! 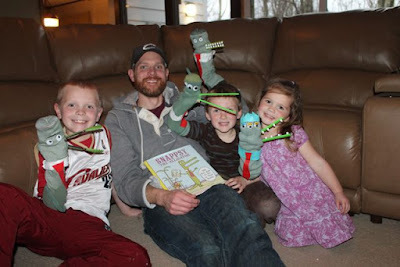 And thank you for writing a book for us to enjoy as a family! We can't wait for your next two books!